Sunroof, XM Radio, AUX, Hands Free Calling!!! Our great looking 2013 Nissan Juke SV shown off in Graphite Blue is ready to go. 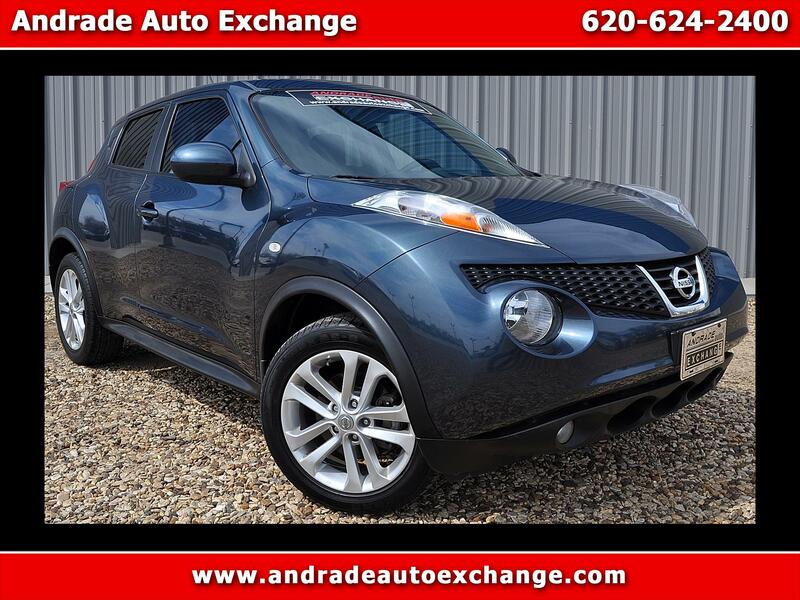 Powered by a TurboCharged 1.6 Liter 4 Cylinder that generates 188hp while connected to a Nissan's Xtronic CVT w/Sport mode allows the Juke to offer natural passing power. This Front Wheel Drive provided near 32mpg to prove efficiency and performance can work together beautifully. Admire the 17 inch aluminum-alloy wheels, unique turn signals and 370Z inspired taillights to complete the aggressive look of the exterior. Check out our pictures, and you'll notice the expressive style continues into the cabin which has been inspired by today's sport bikes. The painted center console and door trim refuse to blend in, and you'll find it hard not to notice the gauges inspired by generations of motorsports. Standard goodies consist of Bluetooth hands-free phone system, Nissan's Intelligent Key, in-cabin microfilter, 12-volt DC power outlet, 60/40-split fold-flat rear seatbacks, power sunroof and the innovative Integrated Control System. With performance being a Juke staple, it's no surprise it performs well when it comes to keeping you safe. Six airbags, Vehicle Dynamic Control, Traction Control System and high-strength steel side-door guard beams are just a few of the features made standard by Nissan for your protection. Print this page and call us Now... We Know You Will Enjoy Your Test Drive Towards Ownership!